PRO6 is a professionally designed phone model generator designed for use in Final Cut Pro X. With PRO6 presets, users can display personal pictures and videos on the most relevant smart phone design to date. Choose from three beautiful colors and freely adjust the reflectivity on this gorgeous device. 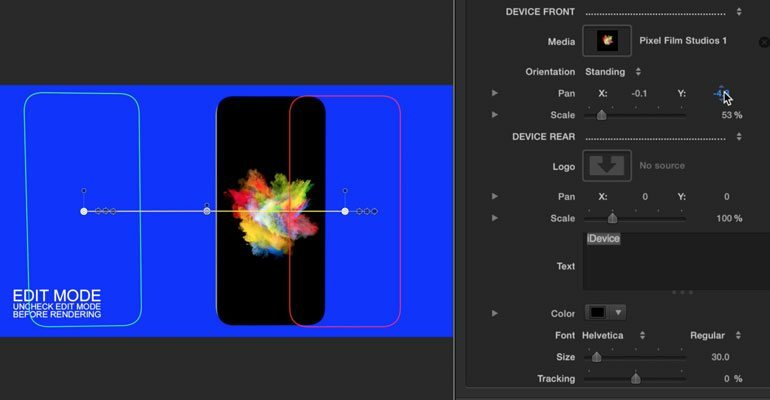 With PRO6, autoanimate a 3D phone model without the hassle of keyframes. Using Pro6 is easy in Final Cut Pro X. Drag and drop a PRO6 generator into the FCPX timeline. Use the green guide and on-screen controls to set the starting position & rotation of the 3D model. Next, use the red guide and on-screen controls to set the ending orientation. Pro6 will do the rest. 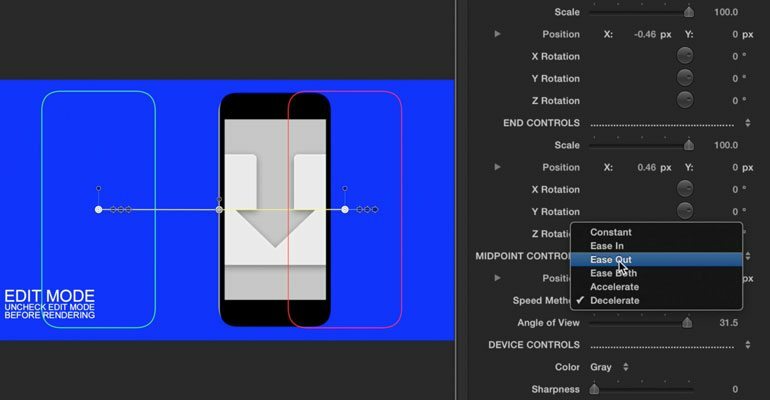 Look toward the inspector window for more advanced speed & animation controls. Pro6 is designed to beautifully display pictures & videos on the latest smart phone device. Insert personal media into the designated drop zone and adjust its orientation using a drop-down menu. Customize the back of the device with both text & logo parameter controls found in the inspector window. Place Pro6 over any still picture or video media. 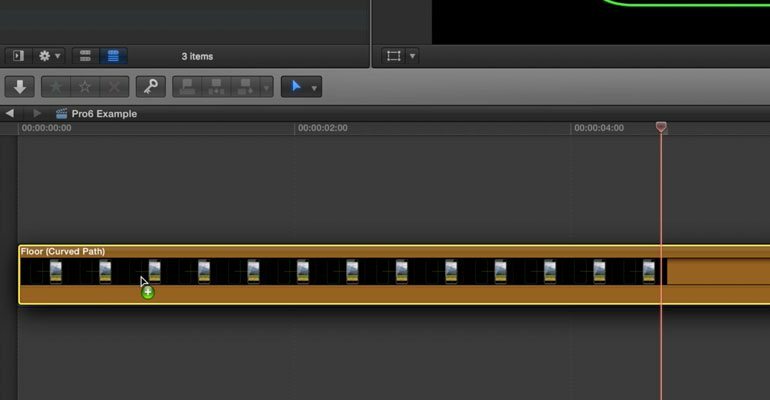 Allow PRO6 to enhance video projects within Final Cut Pro X. Choose from three beautiful color presets with PRO6 generators. 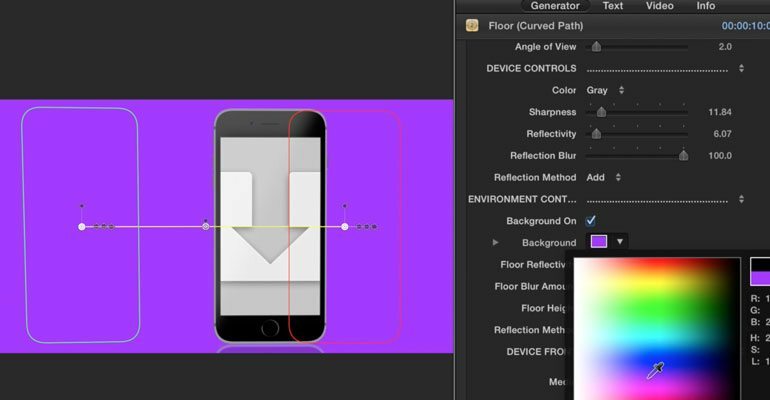 Adjust the reflectivity of the screen, logo, text, and floor using intuitive slider controls. Choose from 5 different reflection methods, blur options, and overall reflectivity. Utilize the sharpening slider for a cripser model. PRO6 makes it easy for users to add the latest technology to video productions. Pro6 is a Final Cut Pro X exclusive plugin. Edit text, media, and model style using controls found in the top-right inspector window. Utilize EDIT MODE to turn off render-heavy settings and expedite the editing process within Final Cut Pro X. PRO6 combines both beauty and functionality into one great FCPX plugin. Learn how to create and customize your very own 3D phone model with the Pro6 Lesson. Let’s begin by locating Pro6 in the FCPX generators library. Browse through the Pro6 generators. For this example we will be using the Floor Curved path generator. Drag and drop the generator to the timeline. Select the generator and go to the inspector window. First you will notice the edit mode and guidelines checkbox. When selected the edit mode will allow you to make adjustments easier without of the lag of rendering. Remember to deselect the edit mode checkbox before you render your final adjustments. 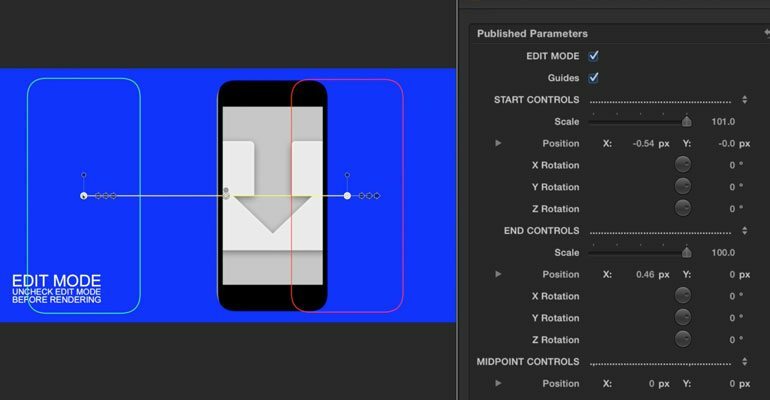 The Guidelines checkbox shows a visual reference of where your 3D phone model starts and where it will end. Begin by adjusting the start controls section. In this section you can adjust scale position and rotation. If you do not want to make these adjustments in the inspector window you can go use the on-screen controls in the viewer window. Scale the phone by clicking and dragging the top circle. Click and drag the center control puck in middle of the green and red outline to position the 3D phone model. To adjust the x rotation click and rotate the far left arrow. The middle arrow will control the Y rotation and the last arrow controls the Z rotation.The end controls function the same way as the start controls. Make the necessary adjustments and move on to the MidPoint Controls. Start by adjusting the position. Then select a speed method. 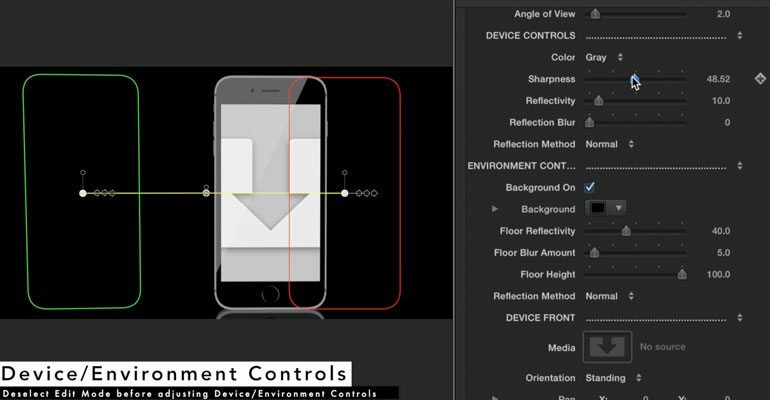 After choosing a speed method you can adjust the angle of view slider. Once the midpoint controls are you adjusted continue on to the Device Controls section. Choose a color for the device then adjust the sharpness, reflectivity, and reflection blur. Then select from a variety of Reflection Methods. Next is the Environment Controls. First select a background color. Click the down arrow to adjust the reds, greens and blues of the color chosen above. Underneath you can adjust the floor reflectivity, floor blur amount, and floor height. Lastly choose a reflection method. Now for some final touches. Start by filling the drop zone for the front of your device. Select the drop zone icon, When highlighted choose the media you want placed in the drop zone. Once you have the drop zone filled you can then adjust your medias orientation, pan, and scale. After you have the Device front controls set Begin adjusting the Device Rear. Fill the logo drop zone, Then adjust the pan and scale. Next you can alter the text by typing in the text box given. Underneath you can adjust the color, font, size and tracking. Where do I find Pro6? Once the installation is complete, you can find Pro6 in the FCPX Generator library.